Winner of the 2017 Selah Award for speculative fiction from the Blue Ridge Mountains Christian Writers Conference. Police detective Jude Cameron must find the murderer of his mentor. But the evidence seems too obvious, too easy. 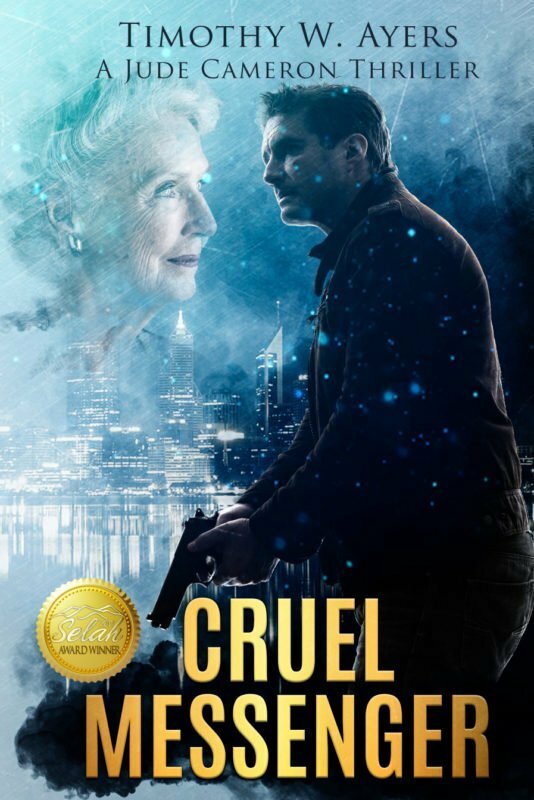 With the help of messages his Alzheimer’s-stricken mother says she relays from the long-dead King Solomon, Jude discovers a trail of mysterious clues that point to a plot that will shake the country to its core—and has already put seasoned assassins on his trail. Also a finalist for the Realm Award, recognizing the most excellent speculative fiction books written by Christian authors. And, a finalist for the Excellence in Editing Award from the Christian Editor Connection. A rogue cop. Clues from a mysterious source. Can he unravel the truth in time? Christian faith shattered from the recent loss of those he loved most, police detective Jude Cameron must now find the murderer of his mentor. But the evidence seems too obvious, too easy. With the help of messages his Alzheimer’s-stricken mother insists come directly from the long-dead King Solomon, Cameron discovers a trail of mysterious clues that point to a plot that will shake the country to its core. Although abruptly pulled from the case, Cameron continues to work through a puzzle of questions and personal threats. But is he willing to face the true killers and become the Cruel Messenger he was destined to be? Winner of the 2017 Selah Award for speculative fiction from the Blue Ridge Mountains Christian Writers Conference. A finalist for the Realm Award, recognizing the most excellent speculative fiction books written by Christian authors. Also, a finalist for the Excellence in Editing Award from the Christian Editor Connection.